It’s is no surprise Democrats label their opponents extreme because, quite frankly, they can’t debate on the merits of the issues. Let’s start with how laughable it is for Obama to call anyone an extremist. The man who said right before the 2008 election: “We are five days away from fundamentally transforming the United States of America.” How is that not extreme? If the things he wanted to do and have already done weren’t so horrifying, it would be comical. But the fact of the matter is, a man who hates America and everything it stands for, should not be calling someone else extreme; that is, unless he is a brazen liar, as is Obama. Barack Obama Believes in abortion on demand at any stage of pregnancy. As an Illinois state senator, voted against legislation to protect children who survived abortion attempts. For over a decade, pretended to be against overturning marriage for political expediency. Wants to undermine marriage to get homosexuals to vote for him and give him money. Goes on and on about letting the “Bush tax cuts” expire on the top 2% of wage earners. Says that “millionaires and billionaires” should “pay their fair share”. Obama has added $6 trillion to the national debt in one term and run trillion dollar deficits for his entire term. Has no plan to reduce spending to balance the budget and reduce the debt. Mitt Romney and his party want to fight to preserve America as a Constitutional republic where people are free to succeed or fail. Barack Obama and his party want to “fundamentally transform the United States of America”, and thus, undermine everything that upholds a civil and democratic society. To recap, Mitt Romney believes in the sanctity of life, the upholding of the definition of marriage as it has always stood, a strong military, low taxes, and spending within our means. 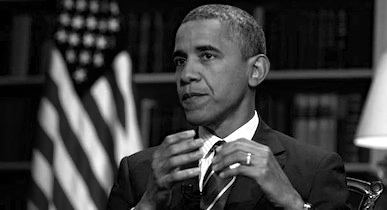 Barack Obama believes in killing children after they are born (he called children who survived an abortion attempt “fetuses outside the womb”), undercutting our nation’s defenses, overturning a 5,000-year-old societal institution (marriage of one man to one woman) to buy votes, taxes to punish successful people, and spending America into the third-world.